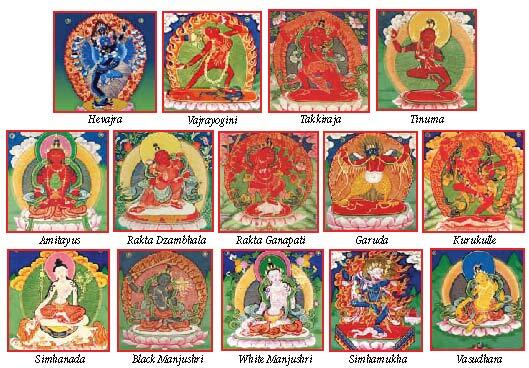 The 13 Golden Dharmas were held closely by the Sakya Buddhist masters of Tibet for over 800 years. These initiations empowering and training students in the compassionate practices of the Bodhisattvas , encourage awareness, fearlessness, and caring. Each “dharma” or empowerment is the entry into a meditation of the different esoteric aspects of wisdom, strength and compassion. It is an extremely rare opportunity to receive these teachings that were held in the highest esteem by the all Buddhist lineages of Tibet and previously only given in the ancient temple at Sakya. Lama Kunga Thartse Rinpoche is uniquely qualified having received these precious teachings from such masters as Lama Dampa Shenphen Nyingpo in Tibet. Lama Kunga will present the meditation instructions directly in English in a manner that students can participate in the profound visualizations while the ritual goes on. This is a rare opportunity to receive this unbroken line of instructions just as they were compiled by Sachen Kunga Nyingpo from Indian masters in the 12th century.